We decided to curate a selection of necklaces we found rather dazzling from Swarovski’s most recent Crystal Rainbow Collection. Take a look and see which ones resonate most with you. The names of the necklaces featured in this video – in order of appearance – include: Lively; Ginger Pendant; Liz; Liz Choker; Mini Cross; Lake; Locket Pendant; Lisabel Pendant and Labyrinth Pendant. Swarovski’s Spring/Summer 2018 Crystal Rainbow Collection celebrates some of the brand’s most distinctive attributes, starring multifaceted femininity, colour expertise and modern glamour. Through this collection that ensures #BrillianceforAll, Creative Director Nathalie Colin explores the range of emotions that colours can elicit. 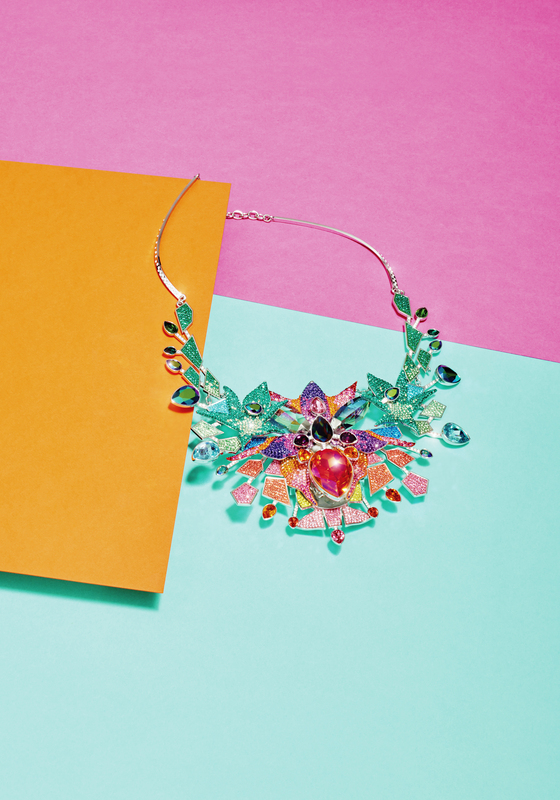 She has taken the theme of “RAINBOW PARADISE” as her starting point for a versatile collection that highlights Swarovski’s cut crystals’ ability to enhance gradations, tone-on-tone and colour blocks of all kinds, from soft, delicate pastels up to vivid and uplifting bright shades. “Colour has this magical power to send a message to your entourage, to inform about an emotion or on the contrary, to lift a dull mood, as a pop of red lipstick would. To me, wearing colourful jewellery is a way to express your personality and stand out. Somehow, it is a personal way to spread joy and positive vibes all around,” says Creative Director Nathalie Colin.